The Huntington Beach Collection putters feature traditional classic designs with modern innovations to help any golfer improve their scoring. The Precision Milled Face has a coarse, diamond-shape milling pattern that is four times deeper than previous-generation Classic Collection HB putters to soften the feel at impact while increasing friction for a truer, more consistent roll. The soft, 304 Stainless Steel also helps to deliver a softer feel at impact. 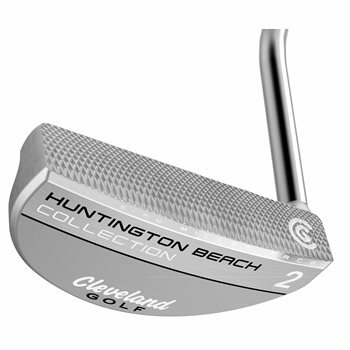 The Huntington Beach 2 putter helps inspire confidence and alignment with its classic design to help any golfer improve their scoring.